We're a young, ambitious London hockey club, offering good hockey and great times to sociable men and women from across London. 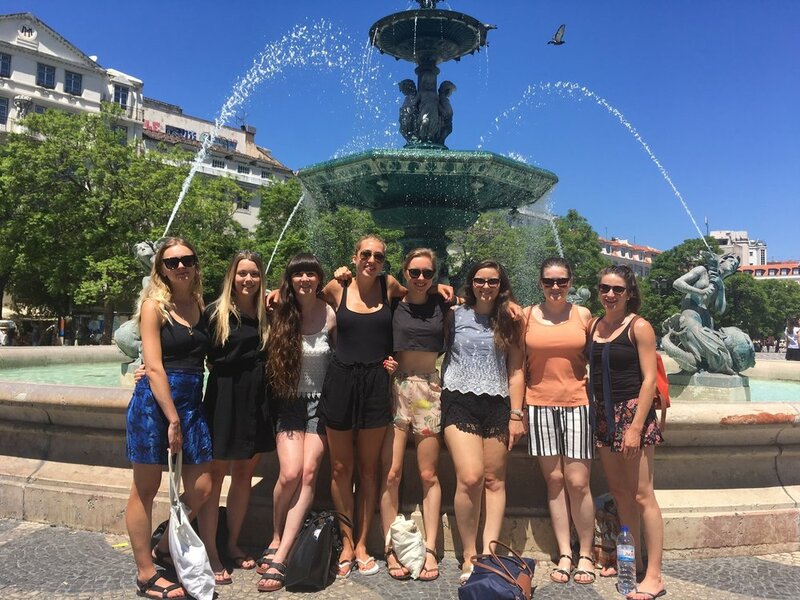 Founded in 2002 by former members of University College London Union hockey club, our membership continues to welcome current students and has expanded to include members from across the UK and abroad. We celebrated 15 years of hockey in 2017, and we're excited about where the next 15 is taking us. We're proud of our name, but it can be a bit of a mouthful, so we tend to call ourselves 'The Accies'. Our home matches and training pitch are located at at City of London Academy in Bermondsey. We compete across Surrey, central London and south of England leagues, but the Accies is very much a London hockey club, with the majority of its youthful membership residing and working in London. On most Saturday evenings we can be found debriefing our matches at our local pub, The Gregorian, before moving on to one of the many fine eating and drinking establishments around Waterloo, Clapham, Shoreditch, Islington... or wherever the night may take us. We are excited to announce our brand new kit partnership with Akuma. From smart match day kit, to casual sportswear, Akuma have us looking the part both on and off the pitch. Members of the club can login to order their kit here. Congratulations to our Ladies 2nd XI who have been entered into the Surrey Ladies' Hockey League for the 18/19 season. We love welcoming new players to the Accies. If you haven't played in years and want to dust off your old stick, or if you're a regular player and are simply looking to join a new club, get in touch to see how you can get involved. We love hockey, but we also love all that London and the world has to offer. Enjoy a full calendar of social and hockey-based events throughout the season. There are many highlights in the annual social calendar, including a club curry, a festive Christmas bash, and a beat the blues January social. The jewel in the crown is always the Players’ Dinner at the end of the season for anyone who has played for any team during the season. We also organise club trips to a number of hockey events, usually London-based, including the National Indoor Finals, international fixtures and the EHL. Spring and summer is filled with annual fixtures against student teams and King's sides, as well as social and competitive outings in other mixed and six-a-side tournaments. This year, the Accies Men's and Women's teams both reigned supreme at the annual Mandy Walker tournament and both Women's sides are competing in summer leagues. Get in touch if you want to join in! Our tours aren't just hockey related, our members have organised ski trips and summer holidays too. We're a social bunch. Tag along and get involved! 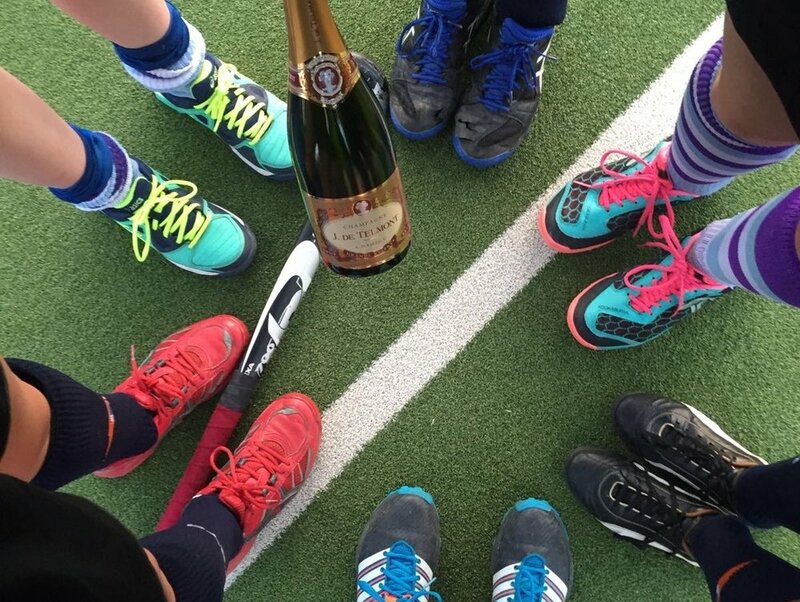 Congratulations to the Women's 1st XI and Men's 2nd XI for their well deserved promotions this season! After a very successful season for the club as a whole, both the Women's 1st XI and Men's 2nd XI secured promotion. For the 18/19 season, our Women's 1st XI will play in Surrey Premier Division and the Men's 2nd XI will play in London Hockey League Division 3. Congratulations to everyone in the teams and to all captains and coaches involved for their hard work. We look forward to celebrating more success again next season!